This week, we’re presenting the nominees for Best Raw Dog Food! The team at ANSWERS Pet Food consists of members with a combined 50 plus years of experience in the raw pet food industry. 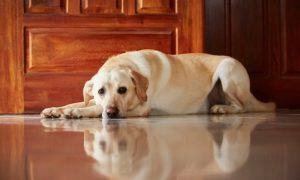 Taking a scientific approach to pet nutrition, they developed one of the best raw food products on the market. 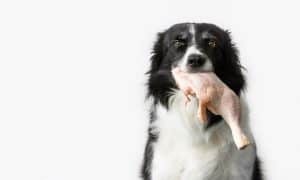 ANSWERS’ mission is to be more than a pet food company, but rather, an ethical, social, and environmentally conscious movement in the raw pet food industry. 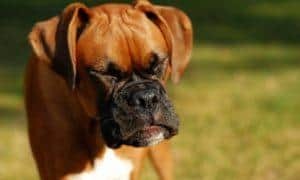 A leader in the raw pet food category, ANSWERS has created new forms of raw food as diverse and unique as our dogs, including nibble size to sausage links, patties, and pounders. They currently offer three raw formulas: Chicken, Beef and Pork in complete diets or limited ingredient diets for dogs with allergies. Choose from their Straight formulas containing only meat, organs, and bones; or their Detailed full ingredient recipes that also include eggs, veggies, fish oil, and other essential nutrients. ANSWERS also offers cartons of frozen raw goat’s milk for dogs. Goat’s milk enhances your pet’s diet and is great for fussy eaters. We can vouch for this – our dogs LOVE their goat’s milk! And, because ANSWERS Pet Food is committed to protecting the environment, their foods are packaged in recyclable cartons. 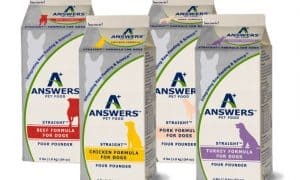 For more information about ANSWERS Pet Foods or to find out where to buy it, visit www.answerspetfood.com. To vote for YOUR favorite raw dog food, leave a comment with your choice below! There is no way one knows the analysis of what the raw food is unless you test every ingredients-CONTINUALLY.Plus raw food is wet and causes plaque and resulting dental issues.Then there is the cost ($$). Why make a rod for your own back? I feed K-9 Kraving raw dog food. I live near the manufacturer and even toured the facility to watch it being made. Nothing would ever convince me that any other brand is better than this one. They use an animal nutritionist to help formulate the correct balance and they are USDA inspected. The raw food comes frozen and i just thaw/serve. I feed my severely vaccine injured cairn terrier Answers raw food. The reason I chose Answers is because it is the only commercially prepared raw food that does not use synthetic vitamins which has a negative effect on the body. Answers uses fermentation to increase the availability and digestibility of its product. It is very convenient to feed from the 4 lb. box that contains eight 8oz. patties that come in a recyclable box. Another plus to help with limiting the carbon footprint. Answers is a great choice! Nature’s Logic is another commercially packaged raw food that uses absolutely no synthetic vitamins! I absolutely love this food. My dog goes nuts at meal time. The ingredients are all stuff that I know and eat myself, I can actually pronounce all the names! I get really nervous about all these additives that people put in their food. Even if it’s raw doesn’t mean it’s healthy. I love when you open the package you can see and smell the freshness of the product! Definitely spend the $22 for the 10lb starter box. It will not disappoint. NONE of them. Be careful with raw. 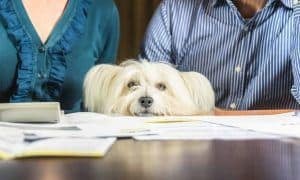 My dog died of complications from e-coli from feeding her raw. 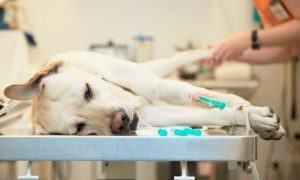 If you don’t know that your dog has a compromised immune system and you feed raw, your dog CAN die! Of course I also had a vet that sucked as well, which didn’t help. I don’t recommend raw at all. Dehydrated or slightly cooked, yes. Sorry to hear about the loss of your dog. Had nothing to do with feeding raw though. Dog’s eat far worse off the ground in the park and their immune systems are primed for eating this food. It’s been a year – who won? ANSWERS all the way – We have three dogs (Pitbull, Rat Terrier and Chihuahua) all on ANSWERS Raw Beef and Raw goat milk. All of them have leaned out to where they should be since switching. The Chihuahua and Rat Terrier both had tearing eyes, which after a few weeks on ANSWERS, has cleared up. All of their coats feel very smooth and shiny. The dogs absolutely love the food and anxiously await their next serving. Also, if you have any questions or concerns you can call the company and talk directly with the owner who is incredibly helpful. ANSWERS is certainly not a cheap option, but its the best one in my opinion. Sojo’s….or something I mix myself. No kibble ever again at this house. ANSWERS! Best thing I ever did for my dogs! They love it and have lived longer healthier lives because of it! ANSWERS Pet Food, with out question. ANSWERS offers unique top of the line sourced ingredients in every product they sell. My dog was overweight and lost 10 lbs when she switched over to the ANSWERS line and has kept the weight off. She has stopped shedding, stopped itching, has more energy than she ever has and is not breathing as heavy! I recommend ANSWERS Pet Food to everyone!!! Considering that Stella and Chewy’s uses HPP they aren’t really a raw dog food. I alternate Primal Raw Frozen Turkey and Sardine Formula with Stella and Chewy’s Venison. My five pound Yorkie, Bess, thrives on this combination. Actually, I like the rectangular short stick design of the Primal better than Stella and Chewy’s patties. The patties often arrive broken; the sticks never. The blog was very informative and the raw dog food was informative to read on, keep it up. Hi. I own a pet supply store and focus only on healthy pet products. I agree that Stella & Chewys is a good food, but I would encourage your readers to take a look at OC Raw Dog. Manufactured in OC Cal, they provide a variety of single source proteins, sourced for traceable suppliers, and – in my case – delivered by a small distributor that uses a freezer truck. No dry ice! Great quality, wonderful owners. Please take a look at them (an NO – I’m not a paid spokesperson!). If you are looking for the best then look no further than WolfTucker – simply fantastic dog food made with human-grade ingredients. I took the plunge and moved my beloved staffy to WolfTucker and it’s completely changed her (and my) life. It’s just a fantastic food that has completely cleared up her allergies. My only regret is that I didn’t switch to feeding raw years ago. They really know how to make great dog food and they really know their stuff too! STELLA & CHEWY’S is by far the very best. My dog and cats all love it…their coats shine, their teeth are white, their stools are very small as all the nutrition is aborbed IN the body….and most of all they are HEALTHY. ANSWERS Pet Food is the BEST! Stella and Chewy’s Duck Duck Goose!! Stella and Chewy’s ,hands down, is the best dog and cat food on the planet!! I had three of my dogs on both diet Stella and Chewy’s and BARF and they were thriving on both diets.But I will vote for BARF because it arrives on my home address always fresh and frozen ( on dry ice ). Buying Stella and Chewy’s at the pet store I had numerous time problem with their food and my dogs would end with upset stomack and dieria :-(( Abviously food wasn’t always frozen and it went bad. But it was frozen later and got sold. Also they don’t have option of home delivery, which I would recomend for them!!! So my VOTE goes to BARF!!!! they thought of every little detail and they are great with check ups and customer service!!! STELLA’S AND CHEWY’S!!!!!!!!!!! IS THE BEST YEAH!!!!! Starley and Luna have paws up for the best food in the world – thanks Barf for keeping them healthy. Stella & Chewy’s all the way! Stella & Chewy’s. The best!!!! Thank you Marie Moody. And the survey says…..BARF World! Bar none the best raw food out there. 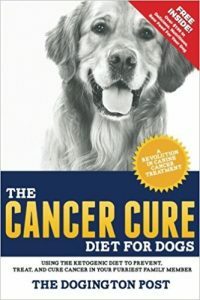 My Dalmatian had every ailment under the sun (abnormal weight gain, skin allergies, urate crystals, bad breath, etc) and the BARF diet has solved all of these issues. He just turned 8, and with his beautiful coat and vibrant energy people mistake him for a puppy! I am just curious What brand of raw dog food do you feed your Dal? Barfworld is the best ! There is nothing out there better than Stella and Chewy’s for our dog and cat! They LOVE it!! There are so many benefits. To name a few, coats are shiny, they have great muscle, their eyes are clear and healthy teeth and gums. Worth every penny for happy healthy pets!! Stella & Chewy’s is hands down the best! My cat Midge thrives on the cat food and her coat is beautiful! Stella & Chewy’s is the BEST! Stella and Chewy’s of course!!! Stella & Chewys ALL THE WAY!! Stella Chewys, Absolutely Tops!!!! Our pets LOVE it!!!!! Stella and Chewys, by far!!! No hidden meats, not from China, organic fruits and veggies AND my dog is IN LOVE with every single flavor. I feel SO good feeding this to her! Finally something that nature intended her to have. Stella & Chewys!!! Both of my rescued dogs love it! Our Shih Tzu didn’t like any kibble and now he devours his food and definitely enjoys eating it. We’re vegetarian so this is the best way for us to feed them raw food. Stella and Chewys all the way!!! I do dog rescue, and take in many very sick dogs. I have brought many dogs back to life literally with Stella and Chewys. Raw is always the way to go, but Stella and Chewys I have found, is the best! Stella and Chewys for my babies! Stella and Chewy’s is the only RAW food my pups will eat. My cats are enjoying the freeze dried dinners as well . You have my Vote Stella! The Freeze dried is perfect for camping and hiking. Stella and Chewy’s Pleeease. My riley loves his stella & chewy!!!!!!!!!!!! My dog’s favorite is Stella & Chewy’s hands down. Stella and chewys stole our hearts and our vote! Stella and Chewy’s……hands down!!!! Only “the BEST” will do for my fur kids! Strict food safety procedures in place makes it worry-free!!! I must lock it up tight or there will be some serious snacking going on! Stella & Chewy’s for sure! We love Stella & Chewy’s at our place. 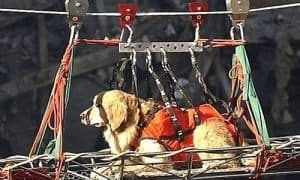 We go through them all for our Bernese mountain dog. we like that they add probiotics, and use 100% organic produce. ANSWERS!!!!!!!!!!!!! Not even a contest. Stella & Chewy’s is the absolute best! Both the raw frozen & freeze dried are wonderful. The freeze dried prompted my very fussy Tibetan Terrier to actually eat at each feeding… None of the others worked. I love Answers. My 4 dogs do awesome on their products. The food and goat’s milk are a favorite in my dogs and cats diet. The pork is my dog’s favorite. Answers. Goats milk was the only thing that my old pup could handle in his final days. My vote goes with Answers pet food all the way! I have been privy to presentations about the food and feed it regularly to my animals. They love it and the company standards are top notch! I vote for Answers–never has a raw food been so thoroughly researched and so completely thought through–everything from the source farms from which they obtain their meat from through packaging is the result of wonderful ethical people who feel providing healthy pet food as God intended animals to eat is their mission in life. Their goal is to improve the lives and health of your pets. I have been so impressed with this company!!! Also– my dogs (five–from puppy through senior) are doing fantastic!!!!!!!!!!!!!! Stella & Chewy’s saved a finicky eater! My five pointers love Answers and the goat milk! 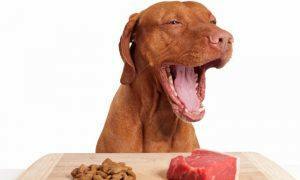 Answers Pet Food is the best commercial raw meat nutrition available for your loving canines. Science, knowledge and commitment goes into all Answers products. Living with Mr. Allergies has allowed me the opportunity to contact Answers for many a question. Each time I have spoken with an extremely friendly and knowledgeable person, happy and excited to assist me. Many times the question is not “food” related and I still receive the same time, effort and quality of assistance. The best value for your dollar is also Answers. Their products allow you to reduce or discontinue supplements due to the scientific balance of ingredients used in the food. Also, Answers is not advertised as much as some of the competitors keeping pricing down. Answers all the way! Answers is by far the best!! Clancy loves it, especially the raw goats milk! He is thriving on Answers. Answers is the very best! Answers Pet Food, without a doubt! Stella & Chewy’s is the BEST raw dog food! My dog, Lola love, love, loves it! Stella and chewys without a doubt. Best thing to have happened to me and my pooch. No more guilt , everyday is a gourmet meal. I keep atleast 3 flavors stocked to rotate . We are very pleased with the products. Stella & chewys! Voted top by my 3 pups and 3 kitties! Duck duck goose! I love Stella and Chewy’s everything. I feed it to my finicky dogs as a topping on their kibble or a few patties if they totally wont eat their kibble on a particular day. I always mix it in the second meal of the day and use the treats always. Stella & Chewy’s is all I’ll feed my pets besides what I make myself.